We would like to wish all our Virgin Money London Marathon runners Good Luck for their race on Sunday 22 April 2018. Each runner has put in months of training and fundraising to help support disabled adults and children at Calvert Trust Kielder. We wish them all the best of luck and will be there to cheer them on at Mile 19. 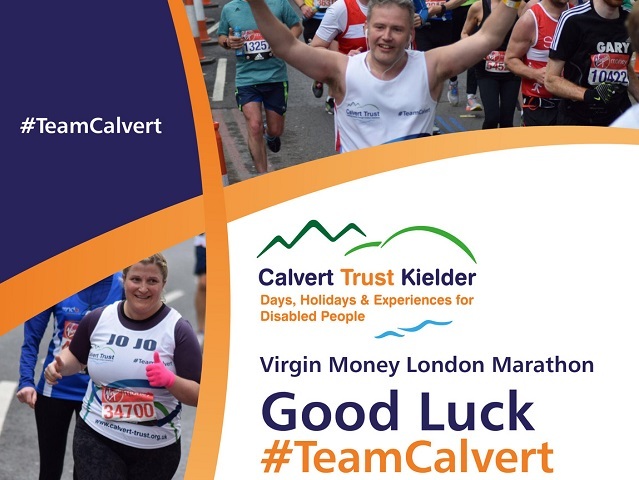 If you have been inspired by this year's Virgin Money London Marathon then join #TeamCalvert in the 2018 Great North Run or the 2019 Virgin Money London Marathon. To become part of the team please download the below application forms and return them to our Fundraising Team.